City of Buenos Aires, once considered mainly due to the architecture, the “Paris of the Southern Hemisphere” by various travelers, offers a lot of cultural activity and amazing vacation packages. 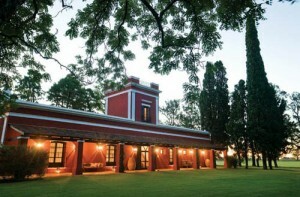 Travelers usually choose a nocturnal visit to the places where the tango is danced and a day trip to a typical Estancia (ranch) in the countryside (in the province of Buenos Aires), to try the traditional asado (barbecue). 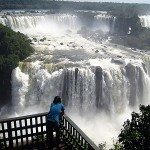 But they also choose vacation packages from Buenos Aires to visit destinations in Patagonia or the Iguazu Falls. Moreover in recent years have emerged new themed tours, including many dedicated to personalities such as Carlos Gardel, Eva Perón or Jorge Luis Borges. Buenos Aires also has got many shopping malls, among which we highlight the Alto Palermo, Paseo Alcorta, Patio Bullrich and Galerias Pacifico. Besides from Buenos Aires the tourists can take vacation packages to amazing natural places of Argentina. 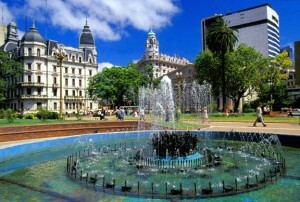 Argentina is in fact a destination that attracts the rich and varied natural beauty, their customs and traditional foods. The tourist infrastructure is very good. With a vast territory stretching from the highest peaks of the Andes in the west to the great rivers and the extensive beaches and steep coastlines in the east, from the rainforest in the north to the valleys, glaciers, lakes and forests in the cold southern Patagonia which is the main and most attractive gateway to Antarctica. 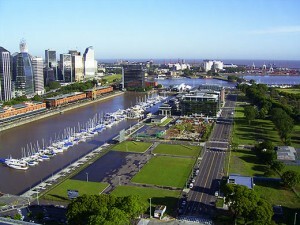 The long distances in Argentina normally are traveled by plane from Buenos Aires, although it also can be done by land using public transport like buses. It should take into account, before booking a vacation package from Buenos Aires, the climatic and seasonal Argentina, a temperate climate prevails, although since Argentina is a very long country, in the south and in high mountain areas (including tropical) temperatures are often cold with snows, additionally, in the northern lowlands temperatures are warm. The Iguazu Falls, located in the northeast subtropical jungle, they are one of the most famous waterfalls of the world and towns close to the Iguazu Falls have a good tourist infrastructure development, and many diverse excursions to add in your vacation packages. In the National Park Iguazu Falls the original flora and fauna is preserved. The most impressive waterfalls is called Devil’s Throat. Other important waterfalls are called Two Sisters, Bossetti and or the waterfalls Alvar Nunez Cabeza de Vaca that was named like this in honor of the discoverer of the Iguazu Falls, Alvar Nunez Cabeza de Vaca. 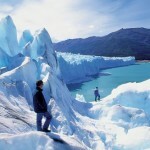 Another important destination to take vacation packages from Buenos Aires is the Perito Moreno Glacier. This glacier is part of the Southern Ice Field and it is a huge glacier that divides Lake Argentino into 2 parts and cyclically it block the lake until the break of the ice cap. The Perito Moreno glacier is located near El Calafate, a small town in Patagonia. At any time of year there are continuous landslides of enormous blocks of ice, which is a natural spectacle. This glacier and others in the area are framed by a majestic landscape of rugged mountains as the ones of El Chalten town and large lakes.